spa810 announces Francis X. Acunzo as CEO. Acunzo will transition from his role as CEO of Acara Partners to join a leading franchisor in the aesthetic medical franchise industry. spa810 announced today that Francis X. Acunzo will be joining the company as its new Chief Executive Officer. Effective immediately he will transition from his role as the CEO of Acara Partners, while remaining its Founder and non-executive Partner. spa810 is a leading provider of medical aesthetics and wellness services with over 25 locations open or in contractual development throughout the United States, Canada and the United Kingdom. It was recently acquired by the founders of Princeton Ventures, a leading private equity firm with experience investing in several successful franchisors with over 1,500 locations in total. Francis has over 25 years of experience in the spa, aesthetic medical, retail, and beauty industries. He is credited with creating the medical spa industry through his leadership in launching the first medical spa in the early 1990s. Francis will bring a level of industry knowledge and contacts that will transform spa810 into one of the leading medical spa franchisors in the world. “We are thrilled and honored to have Francis join spa810. Having founded the MedSpa movement back in the 1990s, he is one of the most experienced operators in our industry. He shares our commitment to exceptional customer service and franchisee support. Francis is a tremendous addition to our company” states Jim Waskovich, Chairman of spa810 and Managing Partner of Princeton Ventures. During his career, Francis was the founder and visionary of a chain of 24 day spas, operated a chain of 37 medical spas, and executed 26 acquisitions involving over 65 locations. Over the past 15 years his business consultancy and creative agency, Acara Partners, has worked with over 200 aesthetic medical practices throughout North America. Francis is the past President and Founding Member of the former Medical Spa Society, past Board Member of the International Spa Association, past Board Member and Treasurer of the Day Spa Association, past President and Founding Member of the International Spa Association Foundation and currently the Chairman of the Aesthetic Business Institute Advisory Board. He often speaks at National Aesthetic Medical Industry events. “Adding Francis to the team is a critical step in transforming spa810 into the market leader in the industry. 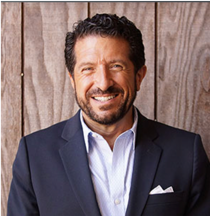 Combining Princeton Ventures’ expertise in franchising and high-growth businesses with Francis’ decades of medical spa experience represents a powerful complement of the skillsets that are required to win in this industry,” states Philip Piro, President & COO of spa810 and a Vice President at Princeton Ventures. Princeton Ventures provides capital, strategic resources and expertise to great entrepreneurs that help grow businesses faster and reduce risk. Princeton manages highly flexible capital that makes it among the most accommodating and responsive growth equity investors in the country. Based in Princeton, NJ, the firm invests in leading consumer, healthcare, and technology companies at various stages of development.